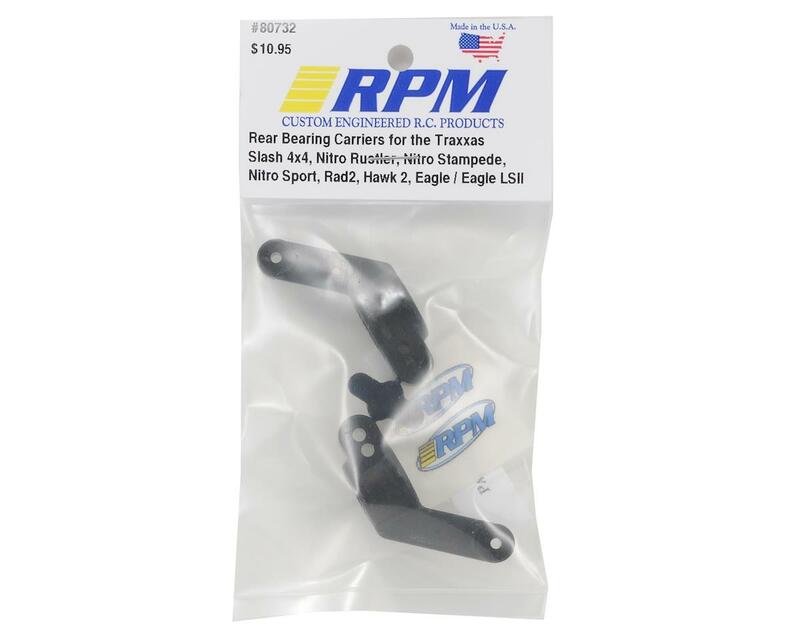 This is a optional RPM Rear Bearing Carrier Set, and are intended for use with the Traxxas Nitro Rustler, Nitro Stampede, Nitro Sport, Rad 2, Hawk 2, Eagle & Blue Eagle LSII! 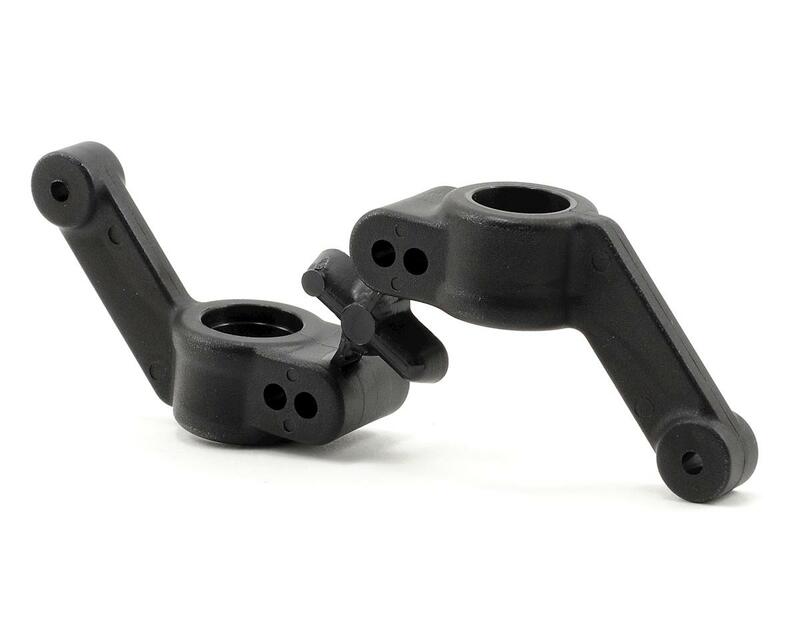 The newest muscle-laden product from RPM is a rear bearing carrier for the Slash 4x4. The stock version simply can’t handle Short Course carnage like RPM products can. The RPM version is 100% stock geometry-perfect, but with a few tweaks to improve durability significantly. A ring surrounds the bearing bores, providing additional rigidity while a redesigned camber rod mounting boss helps disperse impact energy more evenly throughout the length of the carrier’s arm. Additionally, the bearing bores in these bearing carriers are designed to hold the bearings tight, meaning absolutely no bearing slop in the bearing bores! RPM also reduced the end play of the axles by approximately 1/64”, keeping your rear end tracking perfectly like it’s supposed to. Obviously it wouldn’t be perfect without RPM's trademark blend of nylons that make their products indestructible. These carriers are so strong (like all RPM molded products are) that they are backed with a limited lifetime warranty against breakage! If you’re tired of ending a fun day due to breakage, RPM is here to solve that problem. Check them out; you’ll be glad you did! These are a great upgrade over stock! I broke one of my stock bearing carriers the first day I had my 4x4 and replaced then with these. I've since put my 4x4 through many extreme conditions and crashes and these show no signs of stress. They also tightened up the tolerances which is a nice addition. Another great product from RPM!